In the year 1790 David and Rebecca Wagener followed their hearts and traveled north along the Sullivan Trail leaving their home in Montgomery County, Pennsylvania with their destination being what is now called the Finger Lakes Region of upstate New York. At the time of their arrival to this region there were few settlers, and several American Indian Tribes; primarily the Seneca’s inhabited the area. Historical documents mention that wolves and bears were prevalent in the area at that time, and it also should be noted that upon their arrival to this wilderness David was known as a friend to the Native American Indians, and was thought that he helped to draft treaties between the early settlers and the native Indian tribes. David and Rebecca acquired a large land mass which included most of the land where Penn Yan is today. David established a saw mill which was initially his primary business cutting logs and milling lumber to build homes, barns and businesses for the new settlers. He also milled lumber to build his home in 1794 the original beams and structure are the foundation of our home the Wagener Bed and Breakfast. David and his eldest children were quite the entrepreneurs , and became involved in building paper and gristmills as well. Several mills of many types were built along the Keuka Outlet. A 6 plus mile natural waterway connecting Keuka to Seneca Lake; the only two naturally connected Finger Lakes. There is a 300’ drop in elevation from Keuka to Seneca which made it ideal for water wheels to power the many mills that dotted the landscape. The outlet is just several hundred yards from our home and is a now a hiking and biking trail. David would walk the trail and shoreline to inspect his dams and mill structures. In the winter of 1799 while inspecting 1 of the mills he fell though the ice into the freezing cold water, and although he was rescued he died later that year from complications from pneumonia. David was buried next to this home in what is now the Lake View Cemetery. There is a stone tablet in the ground which reads “This tablet is placed here in memory of David Wagener ~That this and future generations may know he gave this land for a free burial place ~And his body was the first one interned here”. Prior to David’s death he was planning to establish a formal village. He in fact named the 1st street Wagener Street. He also became partner of a large grist mill in 1797 which was later named Birkett’s Mill. David’s eldest daughter married one of his business partners (Birkett) reaffirming the partnership. Birkett’s Mill still operates as one of the largest buckwheat flour mills in the world. David is the original founder of the Village of Penn Yan , however his eldest son Abraham is given most of the credit for moving forward with most of the development under his leadership. August 24 1799 at 47 years of age his vast holding were divided between his two sons Abraham and Melchior. Abraham got most of the land mass and the original saw mill operation along the family homestead, while Melchior inherited a new grist mill operation along with a large amount of waterfront property. It was David’s wishes that his wife Rebecca would stay in the homestead and that Abraham and Melchior would talk care of her. Rebecca in fact did stay in this home until her death on February 28th,1813 at the age of 63 years,3months,3days. The original log house was added to over time to its present state. In 1853 Abraham’s oldest son Charles was bequeathed the family homestead along with 600 acres. The Wagener’s also donated the land for the Yates County Courthouse and Village offices. Melchior sold most of his holdings and moved to the town of Pultney. Abraham had had already moved from the village and built a home on the edge of the bluff overlooking the lake. Abraham who was given the majority of the credit for being the founding father of Penn Yan was the first Mayor, and he was also appointed by US Congress as the first Postmaster of Penn Yan. Abraham was also one of the original signing members of a group of local leaders who presented a petition to the state legislature to have a new county carved out of the Ontario and Steuben Counties. The group succeeded in gaining independence and was voted on and approved by the state in February 1823 and signed into law by Governor Joseph Yates, hence the county was named after the Governor who at the time had never stepped foot in the area. After much discussion and public comment the unique name Penn Yan was derived from the Pennsylvania Yankee for the groups of settlers that came to the area in 1790. The weathervane on the top of the Village offices was commissioned to reflect the logo that can be seen on all the village vehicles and signs. A Pennsylvanian shaking hands with a Yankee is the image portrayed. Abraham Wagener was also very interested in growing apples. He developed and grew his own variety of apples, “The Wagener Apple”. The trees would have been some of the first domestic apple trees in the state. The apple trees on our property are some of his first and are over 200 years old. 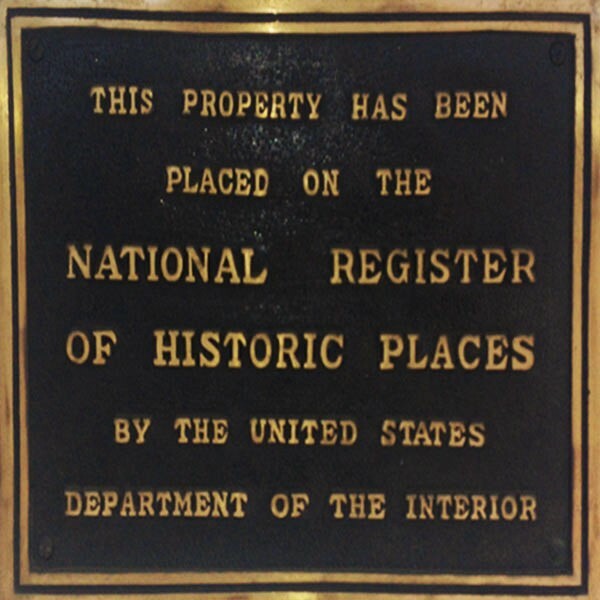 In 1994 our home was placed on both the National and State Registers of Historic Places recognizing its significance in American culture and history.